These Official Contest Rules govern the 2019 Digilent Design Contest EU regional. By registering for this contest, contestants agree that they will abide by these rules. The official language of the contest is English. All written and spoken contest materials must be in English. The Digilent Design Contest is an international contest open to all students studying in a technical school, college, university, or other educational institution. The contest provides an opportunity for students to present their work and receive feedback from international industry representatives. 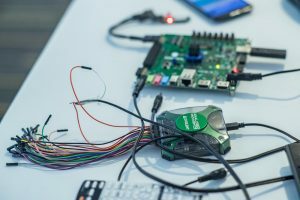 The Digilent Design Contest Europe Region is organized by Digilent Inc. and Digilent Ro in collaboration with the Technical University of Cluj-Napoca and sponsored by Digilent Inc. and Xilinx. For approved projects, contestants will be provided with the Digilent hardware needed to implement the project. Contestants who present a fully functional project that meets the guidelines of the contest may keep the Digilent hardware used. Contestants are encouraged to borrow instrumentation devices (Analog Discovery2, OpenScope MZ, Digital Discovery) in order to implement their projects. Using the instrumentation devices in the final presentation will grant extra points. This hardware needs to be returned at the end of the contest whether the final project is presented or not. The best projects are awarded prizes and are honored on the Contest website. Important contest dates will be announced on the contest’s website and are subject to change at any time. It is anticipated that the Europe Contest Finals will be held in mid-May, 2019 in Cluj-Napoca, Romania. Individuals and two or three-person teams are invited to enroll in the contest. Each contestant (or team) must have an advisor employed by the educational institution where they are enrolled. PhD level Students are allowed to enroll as individuals only. Be enrolled as a student at an accredited educational institution. Not be an employee of Digilent. Not be involved in any part of the administration of the contest. Not already be enrolled in another team with a different project. Agree to cooperate with contest organizers and to follow the deadlines set by Digilent. Be an academic employee of the educational institution where the individual or team is enrolled. If the team consists of students enrolled at different institutions, the team must have two advisors, one from each institution. Registered participants will be given instructions on how to upload their entry. Entries must be uploaded by May 7 2018. For the pre-enrollment stage, contestants need to submit a Registration form, before the end of the registration day (GMT). The enrollment documents must be reviewed by the team advisor prior to submission. – List of the Digilent hardware needed to implement the project along with an explanation of why each of the components is needed. It is highly recommended that teams complete the project Registration form in as much detailed as possible and in an intelligible manner, therefore increasing their chances to be accepted in the competition. If the Registration form is not completed, is not clear enough and/or don’t provide sufficient information to evaluate the project, the registration will be rejected. Based on their pre-enrollment documents, qualified applicants will be selected, notified by email, and enrolled in the contest. Advisers will be also notified via e-mail about the registration of their teams and required to confirm the affiliation and the supervisor status. Qualified contestants will receive (at no cost) the hardware components needed for the project. 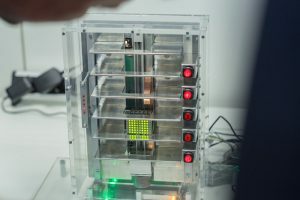 The hardware will be shipped to the address specified in the Registration Form for each team, or may be picked up from the Digilent RO office in Cluj Romania. Note that during the final contest judging, preference will be given to low cost systems. The value of the requested Digilent hardware may not exceed $300, based on the (academic) prices listed on www.digilentinc.com. For the Vivado and SDK platforms a versioned structure of the project is mandatory. The documentation and the structure of the git project is included in the Information Packet from Resources. – create an account on Instructables.com website and post there a few steps from their project along with a link to the YouTube movie and other relevant files. Further instructions will be given before the pre-evaluation announcement is made. Contestants will present their projects during the contest finals in Cluj-Napoca, Romania in May 2018. Teams that present the projects in Cluj Finals get to keep the hardware they received at the beginning of the competition, as a courtesy of Digilent! The project submission includes the entire source code, project report, video, and all the presentation materials (in electronic format) as well as two printed copies of the project report that will be provided to the jury. The project presentation should include a slide-show presentation and a short movie. Guidelines for the reports and presentations are available on the contest’s website in the Design Contest Report Guidelines document on the contest webpage. All the projects will be posted by the contestants on Instructables.com or Digilent Projects, in the final implementation phase, prior to the Finals, following the organizers’ instructions and the website format. More information about the posting manner will be given before the Finals by the contest organizers. Projects will be evaluated several times during the contest. Preliminary, the projects will be evaluated for acceptance to the contest through the specification document. This requires that contestants send the registration document in order to register for the contest. Contestants are also required to send their project status at the scheduled pre-evaluation milestones. Contestants will be notified by contest organizers when milestone submissions are due. Finally, contestants will present their projects and all the required material at the final presentation stage in Cluj-Napoca, Romania. Projects must be posted on a public forum with the expectation that feedback will be received from the public. The earlier in the contest process that the project idea is posted to a forum, there is a better chance that valuable feedback will be received and can be integrated into the project. The main feedback source for this edition will be from Instructables.com or Digilent Projects on which it is mandatory that the students post their work related to the project. Contestants are encouraged to post their work on other websites and forums. Feedback from the public posting should be discussed in the final presentation and documentation. Projects must have a promotional video showcasing their project. The video should be completed after the project is completed and working. The video may be shown during the final presentation. General judging criteria are listed below. Contestants can also refer to the previous winning projects to decide the project idea. Each contestant will receive the feedback from judges during the final contest judging. Is the project complex? Was the hardware used to its capacity? Was the software original and fully functional? 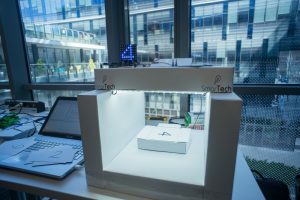 Is the hardware as low-cost as possible to build the project? Note: the project complexity will be evaluated in correlation with the students’ level of studies. How well is the code commented? How is it structured? Is the hardware structured as well and parts are grouped in a logical manner for different functionalities? For reusability, all participants will be encouraged to upload their projects or IP to GitHub or to demonstrate how the design or parts of the design can be reused. Is the project commercially viable? Is there a market need for the project? Can you turn the project into a product? Do you have investors lined up? Does the video add value to the project? Does the project solve a problem? Did the presenter make a good sales pitch? Was there any feedback from community members on the feasibility of the idea? Were suggestions implemented or considered in the final version of the project? Is the written report thorough, clear, compelling, logical, elegant, and professional? Prizes will be awarded to the best projects. Contest projects, source code, photos, movies and documentation may be posted for free download on the contest website and also on the project hosting website, Instructables.com. The award ceremony in Cluj-Napoca, Romania will be followed by a reception for the contestants, advisors, and company representatives. Contestants and advisors are responsible for transportation and accommodation costs for the final presentation stage in Cluj-Napoca, Romania in May 2019. Students are encouraged to apply for funds to cover these costs from their home universities. Digilent and the Technical University of Cluj-Napoca will try to offer rooms for students and advisors attending European Regional contest in Cluj-Napoca: free rooms in the student dorms and affordable price in the University Hotel. If contestants are interested in a room at the Technical University in Cluj-Napoca, they must email the contest organizers. The rooms will be assigned on a “first-come first-served” basis. Contestants and tutors will be provided a lunch meal on the days of the contest and coffee during the projects’ presentation. The project entry must include complete source code. The object/executable code must be able to be recreated by a third party. The code must be packaged and presented as part of the complete project folder. The design remains the intellectual property of the participant. The project must be the work of the student and not violate any IP of others. All participants who submit an entry in the contest assign to contest sponsors non-exclusive, assignable, full-publication rights of the project. Software, including source code, submitted with any entry remains the property of the participant; however, participants agree to provide to sponsors a non-exclusive, assignable, right to copy, reproduce, display, publish, and disseminate this software in any media, without any territorial limitation, as part of any project presentation. Projects may be posted (electronic/Internet media) at the discretion of the sponsors. All participants entering projects in the contest assign to sponsors the right to publish (in print or electronic/Internet media) the submitted or extracted abstract (including the block diagram, photograph, schematic, and software code sample).